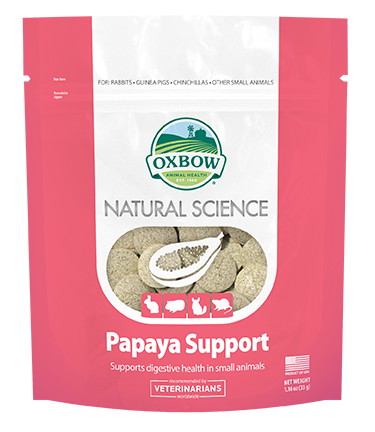 Get a pack of Oxbow Natural Science Papaya Support at 50% OFF with purchase of Oxbow Pellets 10lbs! 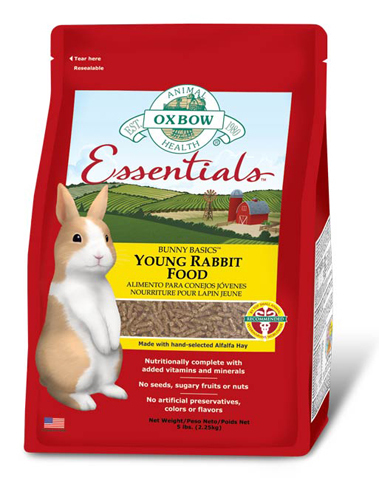 Bunny Basics 15/23 is an alfalfa-based pellet created especially for the specific dietary needs of the young or active rabbit. Rabbits are strict herbivores and a diet high in fiber is essential for maintaining good health. 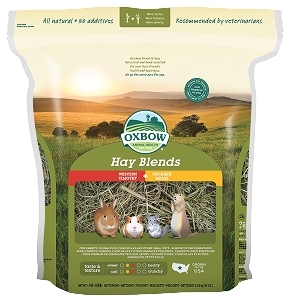 Alfalfa hay is used to provide an optimized balanced protein source, containing the amino acids required for the growth and health of your rabbit. Bunny Basics 15/23 can be fed to older rabbits having problems maintaining weight due to age or illness. When supplemented with free-choice grass hay, Bunny Basics 15/23 may also be fed to gestating or lactating rabbits. Young bunnies have different nutritional needs than those of adult pet rabbits. Oxbow's fresh-from-the-farm Bunny Basics 15/23 fulfills those unique dietary requirements. Always change your rabbit's food gradually to allow the digestive system time to adapt. Some rabbits are resistant to change, so time and patience are needed when switching feeds.